With Britain's departure now set for April 12, May's government is running out of time to get a deal through a divided parliament, and must come up with a new plan to secure another delay from European Union leaders at a summit on Wednesday. UK Prime Minister Theresa May wrote to European Council President Donald Tusk Friday asking for a delay to Brexit until June 30 so she can get the divorce deal through parliament. Amid continuing chaos over Brexit, with Britain's prime minister seeking another delay on the exit date, the European Parliament Thursday ratified a measure to allow British citizens visa-free travel after Brexit. Britain's government has been forced to talk to Labour's Jeremy Corbyn to save Brexit, Andrea Leadsom, its leader in the House of Commons, said on Sunday, suggesting ministers were ready to compromise with the opposition leader. 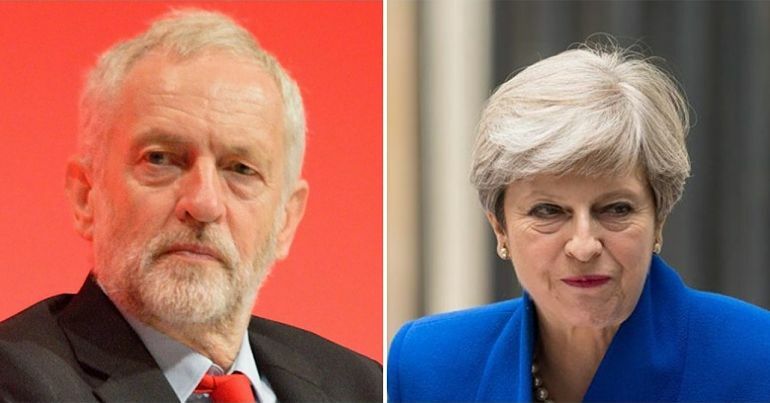 Despite the lack of convergence between the two major parties over a deal, there was one thing they did agree on - time is running out for Brexit to be secured. The shadow business secretary, Rebecca Long-Bailey, who was among the Labour delegation, said on Sunday that while the mood of the talks had been "quite a positive and hopeful one", little was achieved. French President Emmanuel Macron has thus far seemed cagey about giving Britain more time, saying the bloc can not be held hostage by Britain's political deadlock over Brexit. While both the EU and United Kingdom officials have stressed they wanted to avoid a no-deal Brexit that would cut ties without a divorce deal, but some have also pointed out that continued uncertainty could reflect badly on pro-EU forces in the European elections. But French President Emmanuel Macron's office said on Friday that it was "premature" to consider another delay. Britain is now due to depart on April 12, but many observers doubt that May will be able to secure backing for her withdrawal deal by then. Hammond, who is one of the most pro-European members of May's government, also signalled optimism about next Wednesday's European Union summit on Brexit, saying most European Union states agreed there was a need to delay Brexit. But Corbyn said the prime minister had yet to show the flexibility that Labour would need to say yes. She said the governing party was working "through gritted teeth" with Labour to find a compromise, but its bottom line is Britain leaving the EU. "We are currently waiting for the government to come back to us now to state whether they are prepared to move on any of their red lines", she added. The Conservatives are divide between people who wish to keep close ties with the European Union along with Brexiteers who say Britain must make a split in order to take charge of its own laws and trade policy.